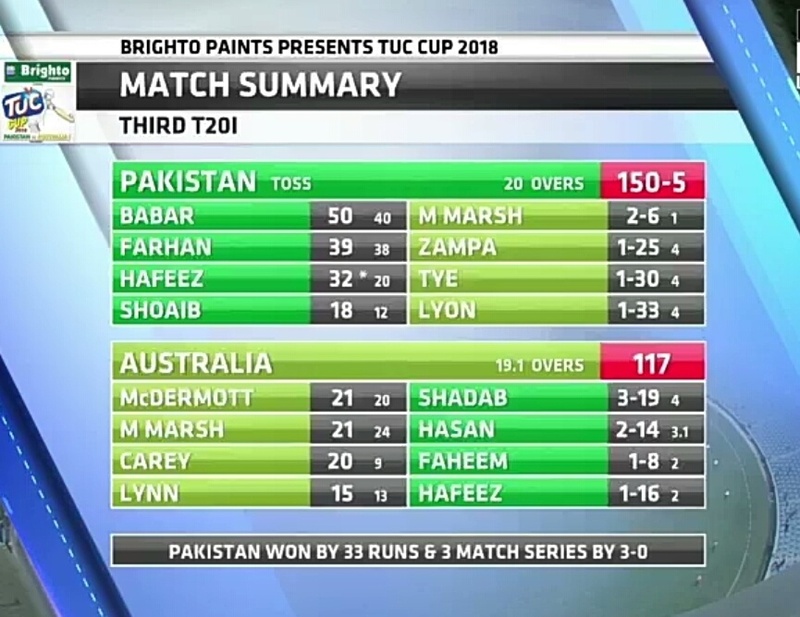 In the third and final match of 3-match T20 series between Pakistan and Australia which was played at Dubai International Cricket Stadium, in which the host Pakistan thrashed Australia by 33 runs and white washed the series by 3-0. Earlier, Pakistan captain Sarfraz won the toss and decided to bat first. Batting first, the Pakistani openers Babar Azam & Farhan added 93-run opening partnership. 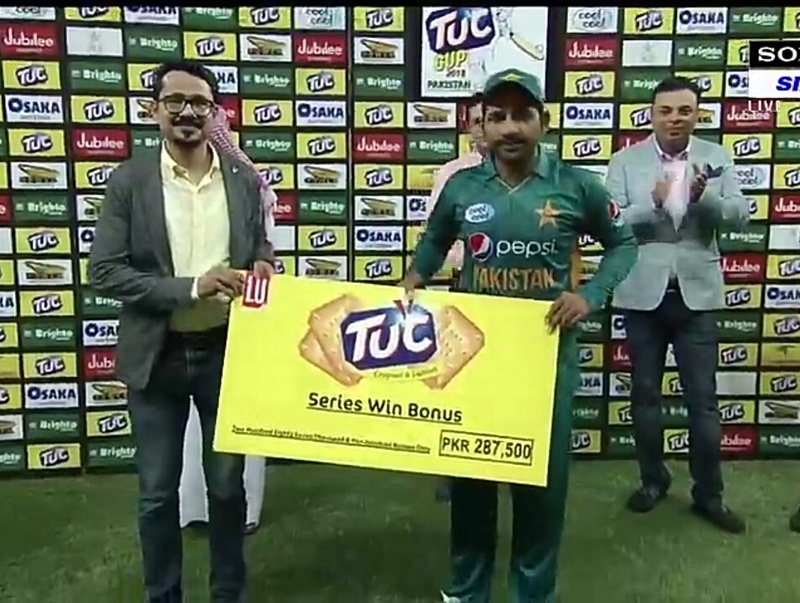 Babar Azam scored half-century his 3rd half century of the series, he scored made 50 off 40 balls. 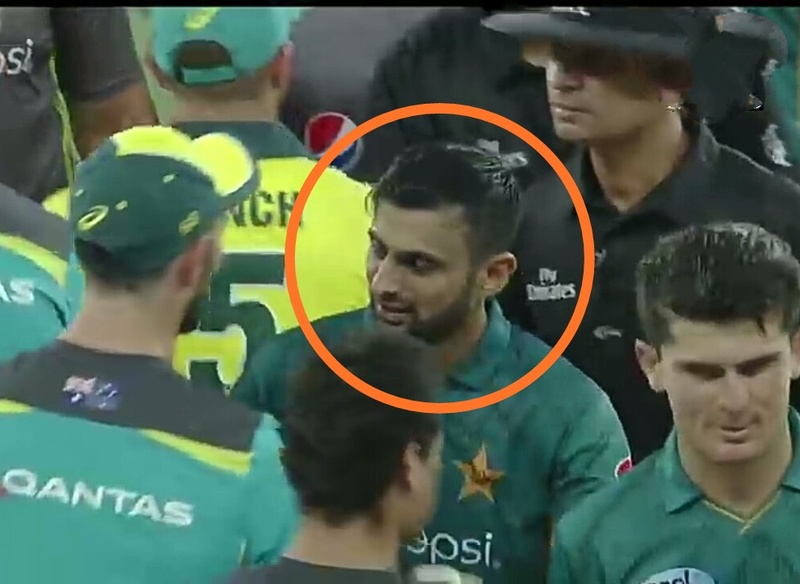 Apart from him, Farhan (39), Mohammad Hafeez scored 32 off 20 balls and Malik scored 18 runs in 12 balls which heloed Pakistan reach 150/5 in 20 overs. 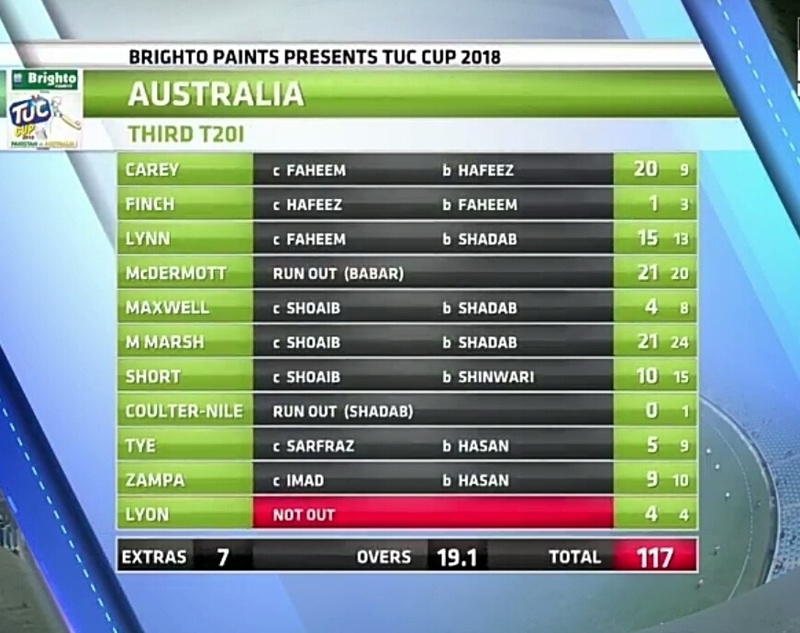 In response, the Australian team started with a bang has the opener Carty smashed Imad Wasim for 20 runs in the first over. After this the entire struggled and bundle out for 117 runs in 19.1 overs. 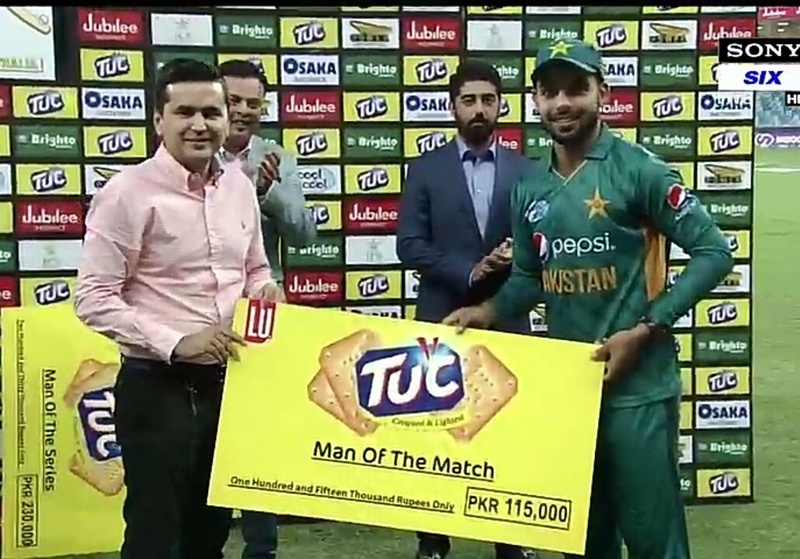 Shadab Khan was most successful bowler for Pakistan he picked 4 wickets for 19 runs, for his amazing spin bowling performance Shadab Khan was adjudged has the 'Man of the Match'. Shoaib has played 105 matches and has scored 2153 runs with an average of 31.66. while, Brandon McCullum is in third place with 2140 runs and Virat Kohli moved down to 4th place with 2102 runs. The No.1 ranked team in T20 for a reason, Pakistan has become the only and first team to pick all the 10 wickets of the opponent on 30 occasions, this shows how their ahead of other team in T20 format. Pakistan, who is the most outgoing opposition team, has become the only player in the world. The Pakistani team has all-round record 30 times any opposition team. 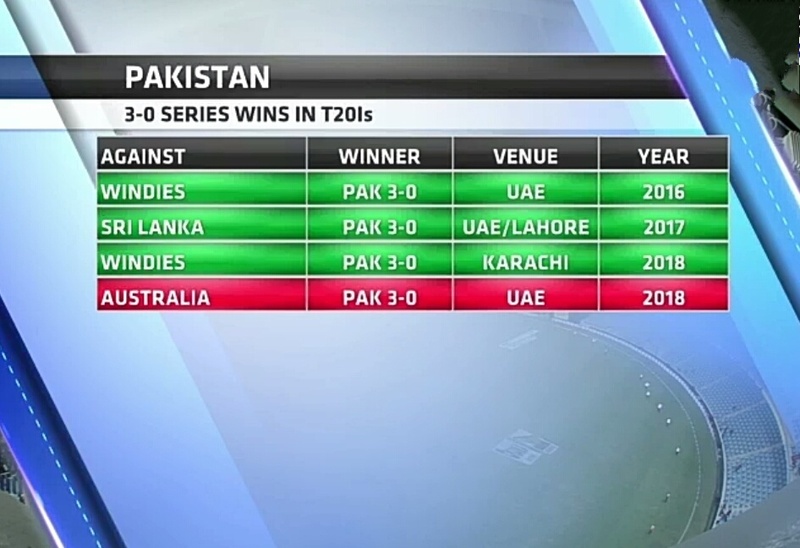 Pakistan has becomes only team to win 10 successive T20 series in the history. No other team have every done this before then. 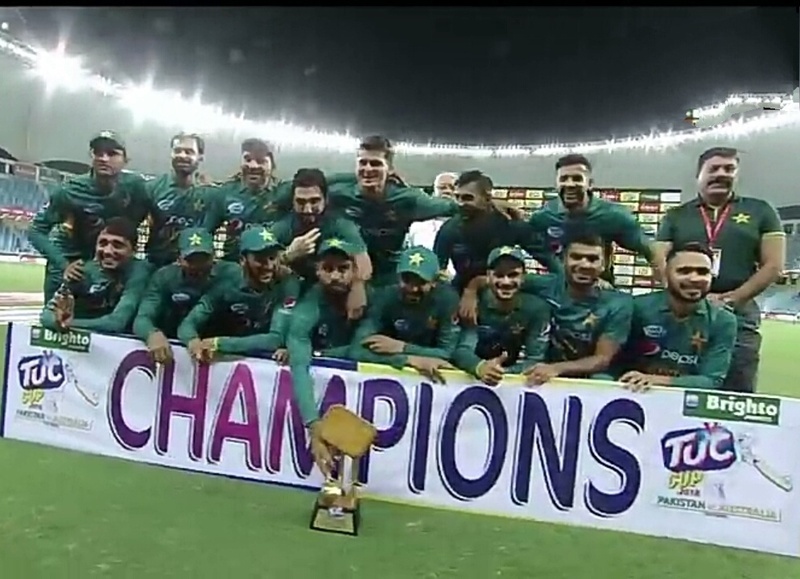 Apart from this Pakistan team won the series by 3-0 for 4th time. Malik took two catches in this match, with this he has left behind AB de Villiers in case of most catches in T20ls. Shoaib has caught 45 catches so far and went ahead of de Villiers who had 44 catches to his name.